There are a growing number of motorcycle owners that wish to personalize their ride. At Wimmer Custom Cycle, we supply a broad range of custom Harley Davidson parts that increase your bikes performance and enhance its look. Located in Bucks County, PA, our professionals help you transform your bike to meet your personality and exact wishes. We strive to provide you with the best customer service and high-quality parts so you will thoroughly enjoy your ride. 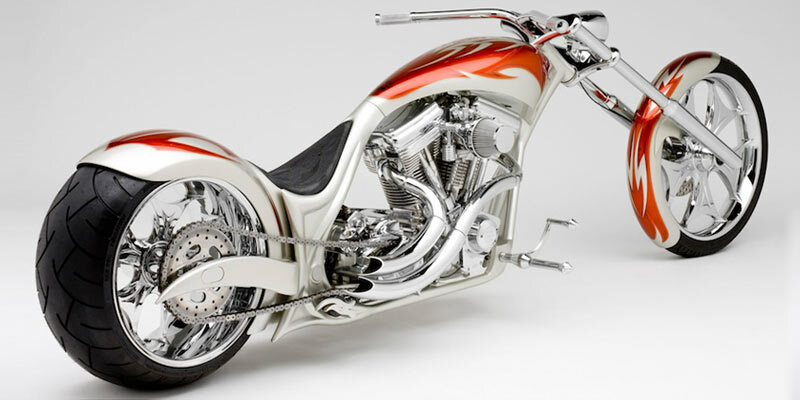 Providing custom chopper and Harley Davidson parts with a focus on you, we make sure you’re receiving a part that offers years of reliability. Improve the aesthetics of your bike with our line of premium protection and air cleaner parts that are unique and appealing. When riding a custom Harley Davidson, you want to improve its practicality while turning heads each time you ride by with a shining chrome finish. There are many accessories available from Wimmer Custom Cycle, but one of the components you will need is an air cleaner and Harley air intake. A customized air cleaner will prevent unwanted debris from getting into the motor. The quality of our air cleaner and filter products will increase air flow to your motor and gain torque with a higher horsepower for your chopper. With a variety of custom V-Twin oil coolers and great prices on our parts, we build lasting partnerships with our suppliers and long-term relationships with our customers. To add more power through your customization, Wimmer Custom Cycle provides the air intake parts for your chopper to upgrade its performance. We make sure your air intake meets your ideas and matches your style. You’ll drastically improve your ride with high-quality Harley Davidson air intake products in Bucks County or Montgomery County, PA. Through the customized designs and reliability of the parts, our customers receive competitive pricing and our exclusive lifetime warranty. We are dedicated to our customers, making sure you are 100% satisfied each time you need a custom product for your chopper in Montgomery County, PA. Ensure your motorcycle is operating at peak performance every time you go for a ride. Contact us today to see why a custom Harley air intake in Bucks County from Wimmer Custom Cycle is the right choice for your ride. Emails will be answered within one business day, typically within hours during business hours. If you need assistance with product information, please use our contact form.